One of the best ways to transform ethnic conflict is by means of consensus democracy or the sharing of power between groups. Consociation is an ideal to be sure, but it remains an important aspiration. At a minimum, it rules out the use of force for achieving unilateral objectives. An additional deliberative goal is a media that is oriented toward peace and solving problems rather than intensifying them. This would be part of a consensus democracy project and would represent a shift in priorities from sensationalism trying to attract readers to conflict resolution. This has been termed peace journalism by McGoldrick & Lynch, a term often met with skepticism as too simplistic. Journalist organizations remain convinced that the media are not only positioned to illuminate conflicts but to actually resolve them and encourage cooperation. By practicing the best journalism the media can contribute to bridge building between conflicting groups. This calls for an activist journalism that relies on a set of practices that go beyond straightforward reporting about conflicts. The International Federation of Journalists (IFJ) calls on reporters to be trained in conflict resolution and to have the promotion of peace as their goal. They are asked to be well versed in the narratives of both sides of an issue and scrupulously avoid reinforcing violence. Moreover, journalists should be equally as concerned with solutions and common ground as much as the basics of a story. McGoldrick and Lynch pose a set of guidelines for the coverage of conflicts that are too numerous to list here, but include techniques such as (1) avoid simplifying the contest by enumerating the various goals of the conflicting parties, (2) avoid stark distinctions, (3) see ourselves in others, (4) avoid reporting on only violence, (5) report on peace initiatives, (5) identify wrongdoers, (6) avoid demonizing words, (7) do not see signing documents and military victories as creating peace, and others. These recommendations can lead one to believing that clear reporting and sensitive concerns will enlighten readers and advance peace. But journalists live and work in political, economic, and power systems like everyone else. They are not independent actors who can determine effects. Hence, a biased and aggressive media will have less impact on an educated audience than and uneducated one; a prosperous and comfortable society will be less responsive to a challenging media. Nevertheless, it remains the case that the media can contribute to a helpful deliberative environment. Transparency, rationality, diversity, and the promotion of quality journalism are all part of peace journalism as well as deliberation. Bell (1997) refers to a sort of peace journalism as the journalism of attachment, that is, the concern is more for people than issues. Attachment journalism is not necessarily deliberative but it does represent a broadened sensibility to balance. It helps quiet the persistent refrain about how violence and drama captures attention, and peace is boring. Most journalism related to conflicts is “war” journalism and preoccupied with propaganda and violence. But “peace” journalists can be easily manipulated and subjected to propaganda that they are not able to understand. Gowing (1997) explains how journalists are easily manipulated and not always able to check facts. They sometimes begin to identify with one party and simplify or distort information. In the end, journalism must take a critical stance such that it does not encourage violence but also avoids disseminating peace propaganda. The critical stance requires transparency and, most important, a diversity of opinion that comes with exposure to quality disagreement and the avoidance of polarization. The preference for one’s own kin is powerful. But identities are not fixed at birth. They are subject to developmental and social influences. They are not flimsy and change at will, but they are constructed out of the surrounding interactional environment. As Suny (2001) argues, identities are fashioned by the stories groups tell about their history, nature, homeland, and common descent. People change identities over time because such identities depend on networks of associations and proximity to others. An Israeli-Jew who lives in Israel will identify as “Israeli” but his son or daughter who moves to the U.S. will identify more as an American. The over arching “American” identity is very important here because it serves as a common identity category that helps perpetuate a commitment to a more general civic allegiance. Deep ethno-national divisions are most associated with violence and those situations where ethnic groups believe the state should cease to exist. The role of the deliberative experience in giving group members new communicative opportunities is most important for developing an over arching identity that can render each side more receptive to argumentative claims. The actual nature and content of ethnic identity is a symbolic construction process done for instrumental reasons from instrumental resources. The conceptual difficulty with ethnic identity is that rigorous objective definitions of ethnic groups do not allow for variability and change or the importance of developmental processes and identity. 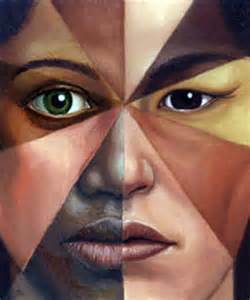 Subjective definitions make it difficult to understand the nature and evolution of individual ethnic identity. Moreover, even if ethnic identity is not objective, and it is subject to social influences and manipulation, it remains an essential construct that is not only experienced as very real to people, but is strongly implicated in much human behavior. Instrumentalism is the idea that choosing an identity group is a practical decision that has potential beneficial outcomes. There is more human choice in instrumental notions of ethnic identity. Instrumentalism is how identity is formed. It is also the means by which identity is exercised. I will accept Brass’ (1996) description of instrumentalism as beginning with objective markers (race, religion, dress, food, dialect) but these are interpreted and subjected to change. Instrumentalism recognizes a strong flexibility and developmental influence on identity formation. Yet, after an identity has been set it is very difficult to change. It is how people see themselves that matter. They may identify around a type of clothing at one time but something else later. This ensures that the group identity remains stable and only the token that refers to the group type changes. One is bound to his ethnic identity on the basis of personal relations, practical necessity, and common interests. Elites use these relationships to solidify identity groups for their own political interests. Slobodan Milosevic employed the rhetoric of victimization to characterize Serbs as in need of liberation through destruction. This was a clear instrumental use of political conditions to construct an interpretation of national identity. Israeli identity is particularly interesting because it can serve as sort of laboratory for how social, political, and cultural resources are marshaled in the service of identity construction. And it is a good example of the instrumental construction of identity. Israel is a new state that differs from others in that it had no preexisting nationhood. The early Israeli immigrants shared no common culture, and new immigrants after the establishment of the state came from diasporic communities in many parts of the world. Still, Israel benefited from the common sense of Jewish nationhood. Even though this was not a geographically bounded national territory, and Jews lived as minorities with different languages, cultures, and appearance, they believed in a common ethnic descent. This included a common religious heritage, language, and affection for a territorial area (ancient land of Israel). As Smooha explains, these were the common bonds and ideological foundations of the state of Israel but the task of the Zionists was to organize these instrumental resources into an identity. Thus, Jews that began to settle in Israel were not called immigrants but “returnees” connoting their temporary absence from the homeland and their return to it with full rights. Various symbols of the state (e.g. Star of David, blue stripes, menorah) are taken from religious and biblical history, which is shared by Jews and easily identifiable by everyone. Jewish ethnic identity in Israel has been strongly encouraged by assimilationist policies (Smooha, 2004). In order to seek a stronger base of unity the identification of ethnic differences was discouraged. Even though there were obvious differences (physiological and cultural) between Jews from Arab countries and Eastern Europe, these differences were less important than common Jewish ethnic heritage. All Jews are granted automatic and full citizenship. Jews from Arab countries do not go to culturally separate schools or are encouraged to foster a distinct Jewish identity (Smooha, 2004). There is certainly individual prejudice and economic and inequities, but these are outside official state efforts to fashion a cohesive Jewish ethnic identity. And, of course, nothing solidifies an ethnic identity like existential threat. The relentless Israeli-Palestinian conflict, and the conflict ethos that permeates the culture, cultivates unity among Jews. Ethnic identity in Israel is produced and reproduced by politics, social class, and the ethnic separation that has characterized the Mizrahim and the Ashkenazi since the early days of the state. For the case of Israel, Smooha (2004) describes the persistence of ethnic identity and the major fault lines that divide ethnic groups (class, economics, cultural hegemony, conflict). Identities develop communicatively in the context of relationships but the Israelis and Palestinians are in the unique position of developing group identities under conditions of conflict. When this happens, the open flow of information stops and individuals feel threatened. They feel destabilized and a strong sense of self preservation ensues. The impulse to respond in a violent manner is activated as an act of self preservation. This causes members of respective groups to “protect” themselves and “defeat” the other. The entire flow of information in the environment becomes distorted such that the normal refinement of ideas about ourselves that produces growth and development closes down. Group polarization becomes apparent and our negative images of the other become frozen in time. The development of our ethnic or group identity no longer incorporates new images of the enemy group, especially as contact with the other group diminishes or becomes informally restrictive. Under normal conditions processing new information that leads to identity change and development is self-protective and allows us to function and manage the world. But frozen identities under conditions of conflict close down the learning process as a new form of survival. Identities become rigid as beliefs solidify and each group considers its view of events as most accurate. Attitudes about responsibility and blame take on great certainty. In Maoz and Ellis (2001) we found that Israelis and Palestinians argued from positions of certainty and because each side is relatively closed off from the other, their conclusions about resolving the conflict were formed in informational isolation. This resulted in conclusions that were unrealizable and based on zero-sum thinking because each side dismissed the other’s assessment. Identities fashioned in conflict are particularly characterized by the “blame game.” Since it is unlikely that one looks inward for blame, failures and responsibility are cast on the evil other. This protects a positive self image and maintains the group’s integrity. Ethnicity is highly implicated in many political conflicts and involved in an identity development that is conflictual as well as ethnic. In other words, during the developmental process is when an ethnic conflict ethos can also become part of an adolescent’s fundamental ethnic identity. They develop not only recognition of membership in a descent group, but an oppositional relationship with an out-group is part of that definition. Strongly ideologically based Israeli-Jews and West Bank and Gaza Arabs, for example, have grown up in a societal milieu where the attachment process to their ethnic group includes an ethos of conflict. This culture of conflict supplies a steady stream of messages about what it means to be a member of an ethnopolitical group. The significant events in the developmental life of young people include religious, political, and cultural rites of passage that fuel ethnic distinctiveness. These are the conditions of intractability when identities are developed and defined in opposition to others. The identity is not one of simply a single implication of ethnic membership formulated normally with a customary amount of pride. Rather, it is a conflictual identity with double implications—the group membership is functional and allows for management in a difficult society, but then continues the conflict. In work over the years with Israelis and Palestinians (cf. Ellis, 2006; Maoz & Ellis, 2006) it is possible to see the communicative and relational consequences of these conflict based identities. The protection of ethnopolitical group identity plays an important role in the Israeli-Palestinian conflict. Both sides feel threatened and the Israeli state stimulates a sense of humiliation for the Palestinians. And although the two state solution and the creation of a Palestinian state is now accepted by most Israelis, such a state continues to be threatening. There remains a zero-sum mentality that makes a solution that satisfies both sides still illusive. Both sides cling to ideas about what is “right” and have trouble finessing their positions because of their failure to continually process new information. Both sides have a long history of trauma and humiliation. The creation of the State of Israel was painful for the Palestinians and they feel historically marginalized and discriminated against, which has led to cycles of violence and revenge fantasies. The Jews, on the other hand, carry historical victimization and discrimination culminating in the holocaust. Hence, both sides have mirror victimization identities and are locked in a no win argument about who is more deserving. This sort of identity pain can last for decades or even centuries.